Give your children an educational experience when you bring them to one of these fun farms for kids in PA. Children love getting up close with some of the favorite farm animals. 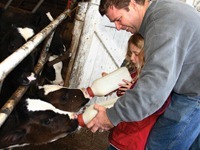 When it comes to farm visits for kids, PA has many to offer, see our list of some of the best. Fun is Always in Season at Shady Brook Farm! 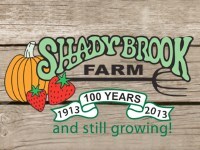 Shady Brook Farm had humble beginnings, starting out as a venture that sold produce off the back of a truck. One hundred years later it has evolved into a farm that still grows many acres of fruits and veggies, boasts a large farm market and garden center and is known regionally for its seasonal events. Bring the family for a day of Holiday fun down on the farm at their 2014 Holiday Light Show! Experience the magic of millions of lights illuminating hundreds of acres of farmland. Drive through the Holiday Light Show inside your car or enjoy the show on an open air wagon ride. Afterwards, warm up with a cup of hot cocoa and cook up some s'mores at the toasty bonfire. Proceeds from the light show benefit The National MS Society and other local charities. 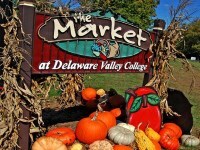 The Market at Delaware Valley College, where farmers are grown. The college is known for growing great people, but especially great farmers! Join us for picking the best crops a farmer can grow, from strawberries and peaches to pumpkins and apples and more. 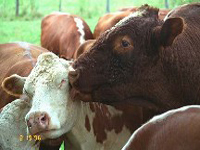 Or enjoy a wagon ride to see and feel horses, sheep or cows and more! Fall Fun on the farm includes wagon rides, corn maze, rope maze, inflatables, pumpkins, animals and more. Bring your group on Friday or Saturday evening to enjoy the Moonlit Fun with a bonfire, wagon ride, flashlight corn maze (bring a flashlight), and on Friday evenings enjoy the wine tasting concert series! Parties and tours are offered in the Spring through the Fall. One of the Most Exciting and Fun Farms for Kids in PA! Have your kids ever wanted to try feeding a calf? Milking a cow? Riding on a tractor? Then Verdant View Farm is the place for you! A great place for fun farm visits for kids PA, Verdant View offers educational tours for kids and adults. See how a dairy farm works and get up-close with farm animals! Choose from the two fun tour options - Farm and Barn tour or the Wagon Ride & Farm tour. For a more in-depth experience sign up for the Farmer's Apprentice tour where you'll get to learn how to make cheese, groom a calf, feed a goat, learn the history of agriculture and much more! Amazing Fun for Amazing Kids! Cultivate green fun for your kids! To have a fun green world, kids should be introduced to the soil and agri-farm. Kids are the future generation who can make up a beautiful farm world without pollution. 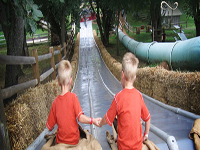 Bring your kids to Cherry Crest Adventure Farm, where fun grows! There are 50+ farm fun activities. So many events occur here. This farm has so much to offer to you. This farm is open 365 days a year but the "agri-tainment" division is only open for 85 days. So don't wait too late to plan a fun PA tour and farm visit for your kids. If you want a break from your normal routine, take a tour at Weatherbury Farm. It'll give you and your kids natural refreshment. Weatherbury Farm is such a quiet place to visit for kids in Pennsylvania. There are so many meadows, gardens, cows and sheep to enjoy with your kids. So make a trip just 45 minutes southwest of Pittsburgh, Pennsylvania. This is the world's most unique farm where you will always hope to stay. This farm will help you learn about farming and agriculture. Farmer Dale and Farmer Nigel work in the fields to show you some enjoyable and fun cultivations. Your kids can have un feeding and milking to. So don't wait too long and have a fun day with your kids. Plant Seeds For a Green World! It is a great opportunity for your kids to plant seeds! Gardening is a good habit for everyone, especially for kids. Allegheny Heirlooms Farm is a good sector for gardening with your kids. It is a large family garden including some shareholders, neighbors and Kurtis Upton's family. You can get different types of seeds for plantation, such as herbs, seasonal veggies, greens, lettuces, radish, berries and so on. If you want to get a great pleasure by gardening you should try this farm visit for kids in PA. This will be helpful education for your kids. So don't wait too late to make a visit to Allegheny Heirlooms.